This sculpture is a representation of a quiet moment together. There is a quiet feel, a sense of substance to this relationship. The limestone comes from the beds of ancient coral reefs, compacted over time. 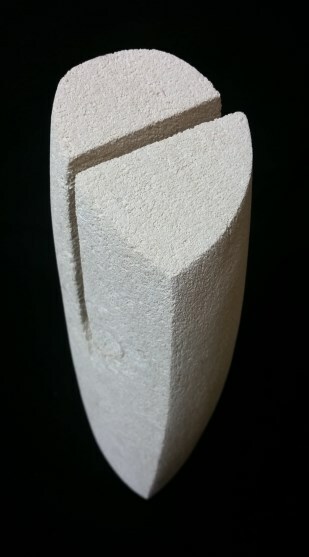 Having this biological background this stone invests life into the organic forms that I love to create from it.